A set of Rainmeter skins created in geometric shapes of a square and a rectangle, in other words in the form of tiles of different sizes. Skins with a dark background and blue design elements, which can actually be changed to any other in the configurator. 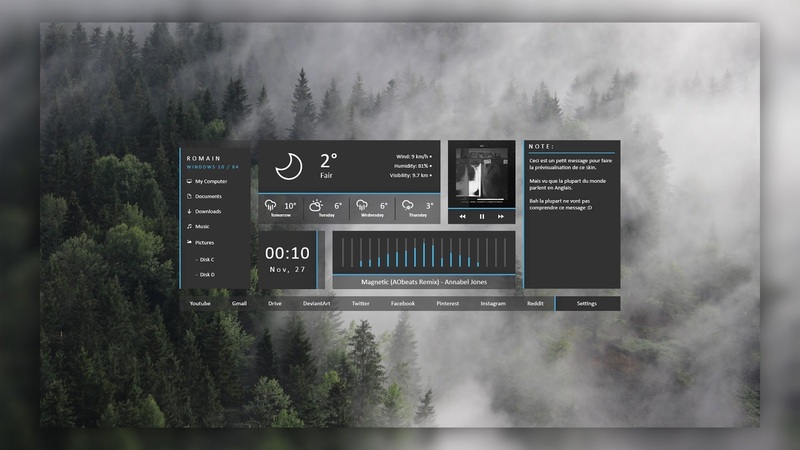 The following skins are available: player, weather, spectrum visualizer, clock and date, notes, as well as two launchers for quick access to folders or Internet resources.